Marc Buckner essays the role of Sunny Leone's real-life husband Daniel Weber in the ZEE5 original Karenjit Kaur: The Untold Story of Sunny Leone. Marc features as Sunny Leone's reel husband Daniel in ZEE5 original Karenjit Kaur: The Untold Story of Sunny Leone. From starting her own production company to participating in an Indian reality show, witness Karenjit Kaur's new phase on ZEE5 on 5 April 2019. Before season two of the ZEE5 original series went for a break, we saw Karenjit Kaur become Sunny Leone. She loses her mother, but meets Daniel. 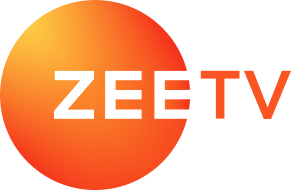 In the upcoming season finale of ZEE5 original Karenjit Kaur: The Untold Story of Sunny Leone, Karenjit/Sunny marries the love of her life, Daniel.